Active in his community, Lieutenant-General Anderson was past President of the Royal Life Saving Society of Canada, served as a member of the Advisory Council of the Niagara Institute and as honorary governor of the National Ballet of Canada. One of The Royal Regiment’s brilliant technical proponents, Major-General Harold Oswald Neville Brownfield was born at Englewood, New Jersey, in December 1894, was educated in Kingston, Ontario, and subsequently attended the Royal Military College. On graduation in 1910, he was employed as an instructor with The Royal Canadian Horse Artillery and The Royal School of Artillery in Kingston. As a Lieutenant he served in France from 1916 until the armistice and was awarded the Military Cross for gallantry. His coolness and courage in directing the care of the wounded while under a heavy high explosive and gas barrage, as well as his maintenance of an observation post while under constant machine gun fire were noted in his citation. “Brownie”, as he was affectionately known, was mentioned frequently for his skill and courage when it really mattered. After serving in Kingston and Winnipeg, he was nominated to attend the Imperial Staff College and on graduation in 1934 was appointed Professor of Tactics at the Royal Military College. At the outbreak of the Second World War he was a General Staff Officer at Military District Number 7 in Saint John, New Brunswick. He proceeded overseas as Brigade Major, Royal Artillery, 1st Canadian Infantry Division. Promotion soon followed and with it the appointment to command the 8th Field Regiment. Due to his proven abilities and his experience overseas, he was returned to Canada in 1940 and was promoted to fill the Commander, Royal Artillery appointment in the newly formed 3rd Division. The following summer he sailed with the Division for the United Kingdom. In November 1941, he was appointed Commander Corps, Royal Artillery at 1st Canadian Corps and served both in England and in Italy before assuming the appointment of Brigadier, Royal Artillery of the First Canadian Army from November 1943 until January 1945. In the latter stages of the war he commanded “C” Group, the artillery component of the Canadian Reinforcement Units in the United Kingdom. His work in coordinating all artillery matters was widely acclaimed. His dedication, efficiency and forceful, positive personality, became his hallmark. Among his many achievements were the conception and establishment of the Canadian Army School of Artillery (Overseas), the development and fielding of the Land Service Mattress (1 Canadian Rocket Battery) and the training of the artillery units supporting Operation OVERLORD. His work was recognized in his appointment to the grade of Commander of The Most Excellent Order of the British Empire. On return to Canada in 1945 he commanded Prairie Command; one year later he was appointed Commander Canadian Joint Staff in Washington and promoted to Major-General. He retired to pension in 1947. Major-General Brownfield honoured The Royal Regiment by accepting the position of Colonel Commandant in 1948; he served The Royal Regiment in this capacity for ten years. During his tenure he visited most Canadian Gunner units, making frequent gifts of Regimental plate and trophies. It was said that he knew more Canadian gunners than any other artillery officer. His long career was characterized by professionalism, innovative ideas and a genuine feeling for the men of The Royal Regiment. In large measure he is responsible for the accomplishments of Canada’s modern gunners. Born at Quebec, he was educated at Bishop’s College School, Lennoxville, and at the Royal Military college of Canada and was commissioned a Provisional Lieutenant on 29 October 1889. In March 1898, Captain Burstall served with the Yukon Field Force, arriving at Wrangell on 6 May. The arduous 400-mile trip to Fort Selkirk was completed by 11 September followed by the short trip to Dawson City. 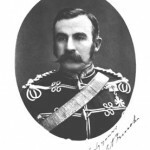 Captain Burstall served with the 2nd (Special Service) Battalion, Royal Canadian Regiment in South Africa, seeing action in Orange Free State and the Transvall in 1900. 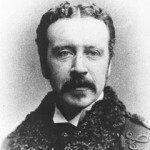 Subsequently he was seconded to the South African Constabulary until May 1902 where he was twice Mentioned-in-Dispatches and appointed Brevet Major. He served with the Royal Canadian Horse Artillery (RCHA) from May 1907 until May 1911 where, in May 1908, he was promoted Lieutenant-Colonel. After leaving the RCHA and until the outbreak of the First World War, he commanded the Royal Canadian Artillery (RCA) and held the appointments of: Inspector of Horse, Field and Heavy Artillery, Commandant Royal School of Artillery and Officer Commanding Royal Canadian Coastal Artillery, Quebec. Lieutenant-Colonel Burstall’s technical gunnery abilities and his insistence on the highest standards during training would save countless lives in the cataclysm soon to come. On 1 September 1914, Lieutenant-Colonel Burstall was appointed to command the artillery of the Canadian Expeditionary Force which was assembled and training at Valcartier. On 1 October, after a short, intensive training period, the guns, horses and men of the Canadian Contingent departed for the Great War. Training continued on the Salisbury Plain; Lieutenant-Colonel Burstall was everywhere, demanding excellence in equitation, ranging, fire discipline, entrenching and camouflage. Under his command the Canadian Divisional Artillery embarked for France on 7 February 1915; the entire formation was ashore by the 16th thereby gaining the distinction of being the only fighting formation to arrive in France as a single entity. At 10:15 on the morning of 2 March, the 1st Battery, 1st Brigade, Canadian Field Artillery fired the first Canadian artillery round, opening a new era for the Canadian Army. On 1 September he was promoted Colonel and appointed Brevet Brigadier-General. On 15 June the Canadians began preliminary arrangement for the assault on two strong points opposite Fivenchy-les-la Bassée. Under Brigadier-General Burstall’s direction, these arrangements would stand as a model for future operations of the Canadian Corps. They included the employment of 18-pounders fitted with armour plating deployed into forward most trenches where, at ranges of between 75 and 3000 yards, they smashed enemy strong points. Brigadier-General Burstall was appointed General Officer Commanding Royal Artillery, First Canadian Corps on 13 September 1915, a newly created appointment. 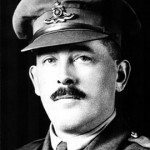 His preparations for the Mount Sorrel counter-attack included a ten-hour bombardment of Hill 60 and Sanctuary Wood – his gunners were accurate and effective. In this fire plan the first smoke screen was incorporated. Fired by Stokes Trench Mortars, the screen was effective and would soon become a regular function of field artillery. On 15 December 1916 he was promoted Major-General and appointed to command the 2nd Canadian Division, an appointment he held until early 1919. After his return to Canada on 31 May 1919, he was appointed to the General List and was promoted Lieutenant-General on 15 August 1920; he subsequently served as Quartermaster General and Inspector General. After a distinguished career, he retired in October 1923. His innovation, training techniques and practical use of the Canadian Guns set the stage for the significant advances made by the next generation of Canadian Artillerymen. One of Canada’s greatest wartime commanders, General Crerar was born and educated in Hamilton, Ontario. Graduating from the Royal Military College in 1909, he took a position with the Ontario Hydro-Electric Commission, Toronto. At the outbreak of the Great War he was a Lieutenant in Toronto’s 4th Battery, 2nd Brigade, the Non-Permanent Active Militia. He immediately joined Canada’s First Division, going overseas with the First Contingent. He served in France, initially with the 3rd Field Artillery Brigade, later as Brigade Major of the 5th Canadian Divisional Artillery. A recognized leader in the development of modern artillery, he designed the largest, most intricate and successful creeping barrage in the later days of the war. This three-day barrage at Canal du Nord halted the final German advance and was considered a brilliant use of artillery. His fine work was recognized in the award of the Distinguished Service Order. By October 1918, he was a Lieutenant-Colonel. After the war he remained in the army and was appointed to the General Staff, Ottawa. Following attendance at the British Staff College he returned to Kingston as Professor of Tactics, Royal Military College. He represented Canada at the 1932 Geneva Disarmament Conference and at the London Imperial Conference of 1937. In 1935 he was promoted to Colonel concurrent with appointment as Commandant, Royal Military College. Immediately following the declaration of war in 1939, he was promoted and dispatched to Britain to prepare for the arrival of the Canadians. In July the following year, he returned to Ottawa a Major-General and as Chief of the General Staff. In 1941, he was promoted to Lieutenant-General. 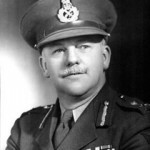 Late in 1941 he returned to England and, in order to command the 2nd Canadian Division, reverted to Major-General. On arrival he became temporary Corps Commander and was immediately promoted to Lieutenant-General for the second time. In April 1942, he was given permanent command of the 1st Canadian Corps. “Uncle Harry”, as his senior staff affectionately called him, assumed command of the First Canadian Army on 20 March 1944, less than three months before the allied assault on Normandy. By August, after Caen had fallen and while the battle for Falaise was developing, it was announced that Crerar was in the field and in command of the Canadians. As well as three Canadian Divisions (the 2nd, 3rd and 4th), the Polish First Armoured Division, the British 49th (West Riding) and 51st (Highland) Divisions were to remain with him almost to the end of hostilities. During his campaigns elements of the American, Belgian, Czech, Dutch and French forces were attached to his army; he was adept at getting the best from these widely-differing forces. After the Canadians broke the Caen “hinge”, General Crerar directed one of the great battles of the war, throwing his formations into Falaise and closing the Trun Gap. This was followed by the great pursuit through France and Belgium, an action that extended from Le Havre to the Scheldt estuary and Antwerp. This extended front necessitated that he spent much of his time in his aircraft visiting, in turn, the British divisions hammering at Le Havre, the 3rd Canadians assaulting Boulogne and Calais, the 4th Canadians at Bruges and Ostende, the Poles at Terneuzen, the Americans near Turnhout and the 2nd Canadians at Antwerp. This was an outstanding feat by any measure. After the bloody battles of the Leopold Canal, the Breskens Pocket and Walchern Island, he led his army into the Nijemgen salient to prepare for the final assault into Germany. In February, he threw his army against the Northern flank of the Siegfried Line, a prelude to winning the great battles of the Reichswald and Hochwald forests, thereby setting the stage for the great British and American drives into the Ruhr and the plains of northern Germany. With the addition of the 1st Canadian Corps from Italy, General Crerar launched his forces through western and northern Holland and into north-western Germany. It was here that the war ended for Crerar’s First Canadian Army. The King honoured General Crerar by appointing him to the Order of the Companions of Honour. General Crerar was the first Canadian to gain the rank of General while on active service at the front. The contribution of his First Canadian Army and the forces of the many nations who fought with the Army was immense. Their victories had significant bearing on the Allied advance through France, Belgium, Holland and into Germany. 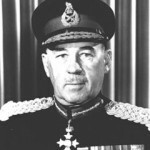 General Crerar retired in 1946 after serving Canada for more than 35 years. His career spanned two world wars and he was decorated by France, Belgium, the USA, Poland and Holland. One of the most distinguished military leaders produced by Canada, General Crerar died in Ottawa in 1965. 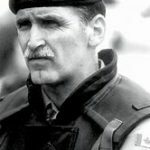 Lieutenant-General Roméo A. Dallaire was born in Denekamp, Holland in 1946 and enrolled in the Canadian Army in 1964 after four years in the Cadets and the Reserves Force. He attended Collège militaire royal de Saint-Jean, Québec, and graduated with a Bachelor of Sciences from Royal Military College in Kingston, Ontario. He also attended the Canadian Land Forces Command and Staff College in Kingston, Ontario, and the United States Marine Corps Command and Staff College in Virginia. Lieutenant-General Dallaire received the Order of Canada in 2002. His internationally-recognized book “Shake Hands With the Devil – The Failure of Humanity in Rwanda” was awarded the Governor General’s Literary Award for Non-Fiction in 2004. It also garnered numerous international literary awards, and was the basis of a full-length feature film. He was presented with the United Nations Association in Canada’s Pearson Peace Medal by Canada’s then Governor-General, Adrienne Clarkson. Named for his grandfather, a member of Sir John A. MacDonald’s Confederation Cabinet, George Alexander Drew was born at Guelph, Ontario, on 7 May 1894. His father was a prominent lawyer and president of the South Wellington Conservative Association. Both his father and grandfather were active in the local militia so young George was raised in daily contact with the law, politics and the military. After attending public school and the Guelph Collegiate Institute it seemed natural that he would attend Upper Canada College and enrol in the militia. Having joined the 16th Field Battery in 1909 at age 15, he rushed to join the Canadian Expeditionary Force at the outbreak of war in 1914. A courageous, efficient and dedicated Gunner officer, he quickly gained a reputation for excellence. Early in 1916 while serving in Flanders, his left forearm was shattered by shrapnel and in January the following year he was invalided to Canada, spending nearly three years in hospital undergoing 13 bone graft operations. He never regained the use of his left arm. Continuing to serve in uniform, he assumed command of the 64th Field Battery and later on its reorganization in 1920, of Guelph’s 16 Field Battery. In 1929 he was appointed to command the 11th Field Artillery Brigade where his devotion to duty, infectious enthusiasm and insistence on high standards earned the formation the Shaughnessy Cup in 1930, 1931 and 1932. The cup was awarded annually for general efficiency. Concurrent with his military activities he attended the University of Toronto and Osgoode Hall; he was called to the Bar of the Province of Ontario in 1920 and practiced law in Guelph immediately thereafter. He made his entry into local politics in 1921, and won a seat as alderman; by 1925 he was Mayor of Guelph – at age 31 the youngest chief magistrate in Canada. 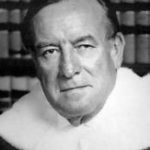 In 1926 he was appointed Assistant Master of the Supreme Court of Ontario and three years later was elevated to Master-in-Chambers, once again the youngest to hold this post in the province’s history. This job involved the hearing of minor cases and the screening of cases for Supreme Court hearings. In 1931 he was appointed Chairman of the Ontario Securities Commission for the administration of the Ontario Securities and Fraud Act. By the late 1920s his entry into Ontario provincial politics was clearly underway and in 1934 he began his political activities in earnest. Within two years he was serving as chairman of the provincial Conservative Campaign Committee. His initial efforts to win the party leadership were unfruitful, but the job was his by 1938. The following year, in a by-election he was elected to the Ontario Legislature representing Simcoe East. He led the Ontario Conservative Party in 1939 and in the general elections of 1943 and 1945 was re-elected as a member for High Park. During his term as Premier he demonstrated that he was a capable administrator and an able political tactician; in an unusual move he also retained the provincial education portfolio. In early October 1948 he was chosen leader of the Progressive Conservative Party of Canada and, slightly more than two weeks later, resigned as Premier of Ontario. In December of that same year he was elected to the House of Commons as the member for Carleton. He spent the next eight years in the House of Commons leading Her Majesty’s Loyal Opposition. In 1953 he was appointed to the Privy Council, the first to gain such a distinction while in opposition. Ill health following a number of demanding parliamentary sessions triggered his resignation as leader of the official opposition in 1956. Not willing to withdraw from public service entirely he accepted appointment as Canada’s High Commissioner to the United Kingdom, a position held until early 1964. In 1949 he reaffirmed his link with the Gunner family by accepting the appointment of Honourary Colonel in Guelph’s 11th Field Regiment, RCA. During his career of public service he also served as President of the Canadian Artillery Association, as President of the Toronto Branch the League of Nations and as Vice President of the Dominion Command Royal Canadian Legion. He also earned wide recognition as an author with his books: “Canada’s Fighting Airmen”, “The Truth About the Great War”, “Canada’s Part in the Great War”, “Tell Britain” and “The Truth About War Debts”. An article dealing with wartime profiteering in the munitions industry titled “Salesmen of Death” has been translated into more than 30 languages. A dedicated soldier and remarkable politician, George Drew died on 4 January 1974 in Toronto and was buried in Guelph. With service spanning both World Wars he made a unique and lasting contribution to Canada and to the Royal Regiment. Often referred to as the “Father of Modern Artillery in Canada”, Charles William Drury maintained the interests of Canadian Gunners foremost throughout his life. Commissioned in January 1874 at eighteen years of age in the New Brunswick Garrison Artillery Brigade at Saint John, his aptitude for technical field artillery work and his ability to put this knowledge to work in a practical fashion was recognized immediately. 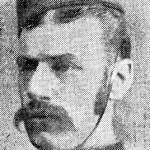 Born at Rosscommon, Ireland, in 1841, George Arthur French served for a short period with the Royal Irish Constabulary before entering military service. He attended both Sandhurst and the Woolwich Military Academies and was commissioned in the Royal Artillery in 1860. On arrival in Canada in 1862, he was employed as Adjutant Royal Artillery at Kingston, a position he held for four years. He was described as, “a fine officer, but on occasion his sound military knowledge and attributes were prone to clash with political and civil phases of Canadian life”. With the departure of the Royal Artillery from Canada in 1871, he was appointed Inspector of Artillery and Warlike Stores (a position he shared with his counterpart in Quebec), as well as Commandant of the School of Gunnery, Kingston and Officer Commanding “A” Battery. His administrative competence, vast experience and attention to detail were soon evident; “A” Battery achieved a remarkable proficiency within one year. In August 1873 Colonel French accepted the offer to become the founding Commissioner of the North West Mounted Police, an organization already being formed at Lower Fort Garry. He threw himself into the task with his usual determination and enthusiasm. His characteristic disdain of bureaucracy, red tape and established procedure was to permeate the Force – he demanded that decisions be based on the even-handed interpretation of the law, respect for human dignity and above all, common sense. Driven by the reports of increasing lawlessness in the west, French began the detailed planning for the deployment of his force to Western Canada. He soon realized that a larger force than that initially planned would be required and, that due to the remoteness of the land, they would have to carry all the items necessary to be self-sustaining. With ever an eye for detail he personally supervised the assembly and shipping of the thousands of items that would be needed. Realizing the critical nature of the living element of his force, he took particular care in the selection of both horses and men, accepting only the best. Facing the formidable task of bringing law to the vast Canadian West would be a monumental undertaking; word that armed outlaw camps had been established which were defended by cannon (taken by force from the United States Army) only gave urgency to the undertaking. As a precaution Commissioner French requested two or three guns for the force; he received two 9-pounders and two mortars. On 6 June 1874, “D”, “E” and “F” Troops left Toronto on the first leg of their epic journey. Commissioner French led his column from Fargo, North Dakota to Dufferin (65 miles south of Winnipeg) where they joined “A”, “B” and “C” Troops; by the evening of the 19th the force was assembled and ready to depart, much to the dismay of the locals who saw this as a golden business opportunity. On 8 July, Commissioner French led his column west from Dufferin beginning the Force’s Great March. The men and animals suffered in the heat, wet and cold. Often deprived of food and shelter, they stoically followed Commissioner French ever westward. The trek from Fargo to Dufferin, to the Belly River, Milk River, Fort Pelly and return through Winnipeg to Dufferin was accomplished in 102 days, covering an average of 19-1/5 miles a day! The aim had been accomplished; a string of North West Mounted Police outposts now crossed the Canadian west. Much to the credit of French and his constables, a friendly and trusting relationship had been established with the prairie tribes. The force had established itself as the law in the Canadian west. The conclusion of this historic march brought to a head the strained relationship that existed between French and his political masters. He terminated this uncongenial relationship by resigning from the force to return to Imperial Service. Subsequently, he served in Queensland, Australia, in 1883, India in 1895 and in New South Wales, Australia, in 1899. He was promoted to Major-General in 1900 and was knighted by his Sovereign in 1902; he retired that same year. Major-General French died in England on 7 July 1921. General French can truly be counted among the builders of Canada. His association with the Royal Canadian Mounted Police and with The Royal Regiment of Canadian Artillery is a source of pride for both organizations. Born in Quebec City in November 1852, young William Jordan became attracted to the military early in life. In 1866, at thirteen years of age, he enrolled as a boy bugler in the 8th Royal Rifles of Canada and served in the Fenian Raids of 1870. With the withdrawal of the British Regular Troops from Canada in 1871 and the formation of Canada’s permanent army, he transferred to the Quebec Garrison Artillery. Later that same year he enrolled in “B” Battery at the Citadel. Gunner Jordan set a number of firsts as a Canadian Army Regular: he was the first soldier to pass the medical examination for military service, the first to sound the call for parade and the first to stand as a sentry in the new army. He also was among the first to enrol; records indicate that he was attested into “B” Battery on 13 November 1871 and assigned regimental number 28. He served the guns of “B” Battery throughout his career, rising steadily through the ranks. He attained the rank of Sergeant in 1885 while serving in the North West Rebellion. His steadiness and leadership are mentioned in the unit account of the action at Cut Knife Creek. A robust, energetic and physically active soldier, Sergeant-Major Jordan excelled in sports. He was an expert swordsman, achieved distinction with a single stick (a hilted sword-length wooden stick which was wielded with one hand), was a specialist at the 400-yard track event and an accomplished cricketer and footballer. He also was the Quebec Provincial featherweight and lightweight boxing champion for several years. On the occasion of the visit of Her Royal Highness Princess Louise and the Marquis of Lorne, the Cidadel hosted an “Assault-at-Arms” tournament. Jordan proved to be the class of the field, outscoring everyone in sword, bayonet and single stick. Even the heavily favoured members of the Royal Navy Squadron team proved no match for this talented gunner. Sergeant-Major Jordan served continuously until 1905 when he was discharged to pension. The comments recorded in the Regimental Record of Service Book indicate that his service was considered “Exemplary”. Rare, high praise in an era noted for understatement. After two years on pension, the quiet life lost its appeal and he re-enrolled in the unit where his military service began, the 8th Royal Rifles of Canada; here he served until 1914. His total service to Canada of 46 years stands as a remarkable achievement. On 23 May 1930, at the age of 78, Sergeant-Major Jordan stood proudly beside the oldest living Commanding Officer of the RCA, Major-General R.W. Rutherford and two other old comrades, Professor H. Walters and Sergeant-Major W.R. Abbott in front of the RCHA Memorial in Kingston. There, this august group laid wreaths on the occasion of the first “reunion” and the formation of the Royal Canadian Artillery Active and Ex-Members’ Association. Sergeant-Major Jordan died at his home in Quebec City in 1938. His career was remarkable; his long and dedicated service to the guns has earned him a rightful place in the history of The Royal Regiment. The son of another distinguished Canadian Gunner, Brigadier-General Edward Murray Dalziel “Teddy” McNaughton was born in Guildford, Somerset, England in October 1918. Educated in the United Kingdom and at Montreal’s Loyola College, he enlisted as a Gunner in the 1st Field Battery of Ottawa. Earning his commission in 1938, he enrolled in the Permanent Force in the following year, initially serving with “B” Battery, Royal Canadian Horse Artillery. Lieutenant McNaughton went overseas in December 1939 and served in the United Kingdom as an Instructor-in-Gunnery at the Canadian Army School of Artillery (Overseas), in Italy with the 5th Medium Regiment and in North-West Europe as Brigade Major, Royal Canadian Artillery, 5th Canadian Armoured Division. Promoted to Major in 1942, he was Mentioned-in-Dispatches on three occasions and awarded the United States’ Bronze Star. In 1943, he was selected to attend the Camberley Staff College. He returned to Canada in 1945 to train with the Pacific Force (6th Canadian Division) and later returned to Europe for duty with the Canadian Army Occupation Force in Germany. In 1951 he was promoted and appointed to command the 1st Regiment, Royal Canadian Horse Artillery (1 RCHA), subsequently leading the regiment to Korea in the spring of 1952. By 5 May the 1st Regiment was fully in place and in action supporting the Commonwealth Division. 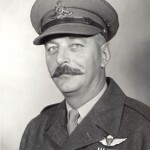 Lieutenant-Colonel “Teddy” Leslie’s (he had changed his name to comply with the terms of an inheritance) leadership, technical gunnery skills and personal courage were the example for his officers and men. His brilliantly conceived fire plans were cited on numerous occasions by his supported arm commanders as the decisive factor in their operations. His consistent, unflagging efforts to provide the best possible fire support were recognized in the award of the Distinguished Service Order. He led his regiment home to Winnipeg after firing more than 300,000 rounds. Relinquishing command in 1955, he was assigned to Army Headquarters, Ottawa. After training at the US Armed Forces Staff College, Norfolk, Virginia, he was appointed Staff Planner with the NATO Standing Group in Washington. In March 1961, he was promoted Colonel and assumed command of the Royal Canadian School of Artillery at Camp Shilo, Manitoba. His considerable leadership skill and love of artillery were put to good use – he had a profound influence on the many thousands of gunners who passed through the school. August of 1966 brought promotion to Brigadier and appointment as Commander 2nd Canadian Infantry Brigade Group in Petawawa. 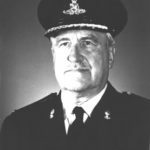 In the summer of 1968, Brigadier-General Leslie was appointed Chief of Staff of the United Nation’s Force in Cyprus, the first Canadian officer to hold that position. His energetic and professional manner rapidly earned the respect of other national contingents and the trust of the opposing factions. Returning to Canada in July 1972, he commanded Canadian Forces Base Borden until his retirement to pension in November of that same year. 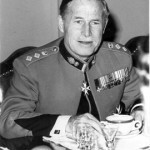 In January 1975, he accepted the appointment of Colonel Commandant, The Royal Regiment of Canadian Artillery, a task he undertook with characteristic zeal until his death on 3 August 1979. Brigadier-General Leslie was a passionate advocate of Canada. He was deeply committed to his profession, to his Regiment and to his soldiers. He is remembered fondly by three generations of Canadian Gunners for his unique character, love of life and dedication to his “Gunner Family”. Andrew Leslie was born December 1957. His initial schooling was conducted in Canada, the USA, France, Cyprus, and Switzerland. His family has a tradition of military service and he joined the Army Reserves in 1977 (30th Field Artillery Regiment) while at Ottawa University. While in London, England, as a graduate student he was attached to the Honourable Artillery Company. In 1980 he attended the International Peace Academy United Nations (UN) Staff Seminar in Vienna, Austria. In 1981, he transferred to the regular force and served with 1 Regiment Royal Canadian Horse Artillery (1 RCHA) in Germany during which he completed the British Army Troop Commanders course, French Army Commando training, the hand-to-hand combat course and the combat intelligence course. After a succession of field tours with mechanized and airborne combat units in Germany, Cyprus and Canada and command appointments up to regimental level, he was promoted to Colonel in early 1995 and sent to the Former Yugoslavia as Chief of Staff Sector South (Brigade Level). He was awarded the Meritorious Service Medal for his actions under fire during the fighting for Knin in August 1995. He then became Chief of Staff UNCRO (Division level), and finally Chief of Staff of UNPF (Mission level). Following the UN hand-over to NATO forces, Brigadier-General Leslie returned to Western Canada as the Area Chief of Staff in 1996 and served in that capacity during the Manitoba floods of Spring 1997. In July 1997 he became the Commander of 1 Canadian Mechanized Brigade Group (1CMBG), an infantry-heavy formation, where the focus was on live-fire combined arms training. In early 1998 1CMBG deployed to the South shore of Montreal to assist with ice-storm disaster relief operations, followed by an almost continuous cycle of Battle Group and Brigade exercises. That same year he was awarded the Order of Military Merit. In early 1999, 1CMBG tightened its focus on complex peace support/peacemaking missions in anticipation of a deployment to Kosovo. His training includes a variety of courses such as the combat team commander’s course, Army Staff College and the Canadian Forces Staff College. His education includes degrees in Economics and Military History, including a Masters in War Studies from RMC. Promoted Brigadier-General in late 1999, he completed both the Advanced Military Studies and the National Security Studies Courses in Toronto. In 2000 he became the J6 of the Canadian Forces, responsible for the Groups and Regiments of the communications field force, signals/electronic intelligence, and computer network operations. He was appointed Commander Land Forces Central Area in 2002, where he was responsible for one regular and three reserve Brigade Groups and numerous support formations, training establishments, bases and units. In July 2003 Major-General Leslie was appointed Commander of Land Force Doctrine and Training System. Major-General Leslie was appointed Deputy Commander of the International Security Assistance Force in Kabul, Afghanistan, in August 2003. 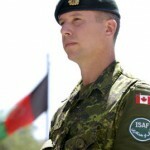 Following his tour in Afghanistan, Major-General Leslie was appointed Acting Assistant Chief of the Land Staff. In 2006, he was promoted to Lieutenant-General and appointed Chief of the Land Staff. Master Gunner James Maher, the son of a Trumpet-Major in the Royal Horse Artillery, was born in the Parish of Portobello, near Dublin, Ireland, on 13 August 1839. Exposed to the ways of army life as a child, he enlisted in the Royal Artillery at Woolwich on 8 November 1852. His initial documentation records him as “Age – 13 years, 3 months; Size – 4 feet 9-1/4 inches”, with a sallow complexion, brown eyes and dark brown hair. His father, who had recently retired, provided him with the regulation kit, thereby saving young James a considerable personal expense. His first few years in Woolwich were busy; he had much to learn of the gunner’s art. He saw his first foreign service in the Crimea from September 1855 until July 1856. He returned to Leith Fort, England, where, after one year he was promoted to Bombardier; one more year was to see him promoted once again, this time to the rank of Corporal. By the spring of 1861 he was serving at Portsmouth in the rank of Sergeant and on New Year’s Day 1862 he departed Liverpool bound for service in North America. During the next five years he would serve at Saint John, Fredericton, Montreal and Kingston. While in the latter city he was to form an attachment to the New World that would profoundly affect his life and eventually drew him back to Canada. On 3 March 1867 he married his wife Susan, and in mid-November that same year his daughter Isabella was born. Departing Montreal for Malta in 1868, he was appointed Battery Sergeant-Major on arrival; he would remain on this Mediterranean island for six years. Returning to England in 1874 he served at a number of locations including Plymouth and Dover. On taking up his position at this latter city on 7 March 1877, he assumed the appointment of Brigade Sergeant-Major. Then, after serving 28 years with the Royal Artillery, he retired and in 1880 returned with his family to Kingston. He soon enrolled in A Battery, Royal Canadian Artillery (RCA) where his vast experience and technical skills were welcomed. When A Battery moved to Quebec City in late 1880, he replaced Master Gunner George Creegan who elected to remain at Kingston. Master Gunner Maher was to serve with A Battery for the next 18 years, including seeing action in the Northwest Rebellion of 1885. Here he developed a life-long friendship with Major General R.W. Rutherford. He retired to pension in 1898. The value of his service was recognized with Meritorious Service Medals of both the British and Canadian forces. In retirement, the Master Gunner remained very active in Canadian Gunner affairs. He worked an additional 18 years in the offices of the Director of Artillery at Militia Headquarters, Ottawa, finally retiring at age 78 after more than 64 years service to the guns. His long and distinguished service stands as a unique accomplishment. One of Canada’s first Master Gunners, James Maher’s lifetime of good work with the guns and for Canada are a superb example which would be difficult to duplicate. John Ross Matheson was born in Arundel, Quebec on 14 November 1917, the month of Passchendaele, during the Great War. He grew up as the only son and eldest of four children to parents Reverend Dr. Dawson and Gertrude Matheson of Quebec City. He enlisted in May 1937 in 57th Field Battery RCA in Quebec City. He served in this unit as Gunner, Bombardier and Sergeant until September 1939 when he was transferred to the COTC at Queen’s University in Kingston where he received training by RMC and RCHA personnel. He was commissioned on 6 June 1940 in 1st Field Brigade RCA, posted to Camp Petawawa, then overseas to Camp Borden. Once in England he was assigned fire control duties on the south coast – December 1940 and 1941 were noted for massive bombing raids – the Blitzes. Matheson is the only officer to have served during war in all three Batteries of 1 RCHA. Firstly, at the guns in B Bty in October 1941, then to 1st Div HQ as an Artillery Intelligence Staff Officer (IORA) in July 1942. When as IORA 1st Div, Captain Matheson found his name posted to return to Staff College in Canada. In February 1943 he paraded to Brigadier Bruce Matthews requesting to be returned to his Regiment. The war had not been going well and he wished to serve the Guns in battle. 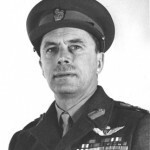 Capt Matheson participated in the 1st Canadian Division’s landing during Operation HUSKY – the invasion of Sicily. At that time he was a FOO in A Battery, 1 RCHA landing at Pachino beaches. He served as a FOO throughout the Sicilian Campaign and was one of the first FOOs to land on the Italian mainland at Reggio di Calabria. He continued to control the fire of the guns of 1 RCHA in support of some of Canada’s greatest regiments as they moved north along Italy’s Adriatic coast. He worked with the R22eR, the PPCLI, the RCR, the 48th Highlanders, the West Nova Scotias, the Hastings and Prince Edwards and the Loyal Edmontons, the Seaforth Highlanders and the Carleton and Yorks. Indeed, Capt Matheson saw action with all of the nine battalions of the 1st Canadian Division and also with units of the British Malta Brigade. He experienced the vicious fighting of the Italian campaign until whilst preparing to cross the Moro River and move into battle with the West Nova Scotias, he was wounded by an airburst shell planned to harass and deny the obvious route to Ortona. With six pieces of shrapnel in his skull, Capt Matheson was initially triaged as dead. Nevertheless, he was hospitalized in Bari, Italy, in Algiers, and in numerous British and Canadian military hospitals. After several months of recuperation and then meeting his bride, Edith, at St Anne de Bellevue hospital, he was discharged in 1945. His next move was to embark on a legal and political career. In four parliaments as MP for Leeds Riding, from 1961 to 1968, he chaired the then Standing committee on External Affairs, and served as Prime Minister L.B. Pearson’s Parliamentary Secretary, and as a member of the Special Defence Committee. He was particularly interested in defence and intelligence. He was sent as an observer to the United Nations in 1961, and later on several missions to Europe and Asia on behalf of the Prime Minister. During this period Prime Minister Pearson assigned him the task of being responsible for Canadian symbolism. John Matheson worked very hard with others to develop both the Maple Leaf flag and the Order of Canada. In 1972 in Ottawa Judge Matheson was invited to rejoin the militia and serve in honorary capacities and to participate in many Conferences of defence Associations. He was awarded the Canadian Forces Decoration in 1977 and was retired from 30th Field Regiment of The Royal Regiment of Canadian Artillery in 1982 with the rank of Colonel. A life member of the Royal Canadian Artillery Association, the Royal Canadian Horse Artillery Brigade Association, the Royal Military College Club of Canada, the United Services Institute and the Royal Canadian Legion, and member of the Canadian Intelligence and Security Association and the Canadian Institute of Strategic Studies, he continues to be active as a public speaker. John Matheson is perhaps best known for his contribution to Canada’s Flag and the development of the Order of Canada. He died in Kingston on 27 December 2013. Major-General Matthews was called out on three occasions for Special Duty with the Supplementary Reserve and at various times served as Honorary Colonel of the 29th Field Regiment, the 32nd Field Regiment (Self Propelled), the 42nd Medium Regiment and the 1st Artillery Locating Regiment. From January 1964 until January 1965, he served as Colonel Commandant of The Royal Regiment of Canadian Artillery. He was a frequent visitor to Gunner units from coast to coast. John McCrae was born in Guelph, Ontario, on 30 November 1872 and studied medicine at the University of Toronto; he served as residence house officer at Toronto General Hospital and at Baltimore’s John Hopkins Hospital. Strongly influenced by his father Lieutenant-Colonel David McCrae, he became keenly interested in military matters. As a school boy John was a member of the Guelph Highland Cadet Corps and later joined the local Militia Field Battery. In 1900 he volunteered for service in the South African War and was commissioned a Lieutenant in the Royal Canadian Artillery (RCA). During this campaign he saw action with “D” Battery, Royal Canadian Artillery; in one skirmish his right section silenced the Boer guns near Rustenburg. He returned to Canada, strongly influenced by what he had seen of war. During the next fourteen years he completed his medical training and lectured in pathology at McGill University, gaining wide recognition within his chosen profession. A strong believer in service to one’s country, he continued to serve as a “Citizen-Soldier” in the Militia, attaining the rank of Major. At the outbreak of the First World War he immediately volunteered for service either as a doctor or as a gunner. He achieved both; he was appointed surgeon to the 1st Brigade, Canadian Field Artillery. Always a gunner at heart, he would often direct the fire of the batteries in his sector as frequently as his medical duties would allow. The spring of 1915 found the 1st Brigade in Flanders and Lieutenant-Colonel McCrae established his dressing station on the banks of the Ypres Canal; from his dressing station he was witness to the ever-growing forest of white crosses. It was here, amidst the heavy fighting, mud and carnage of the Second Battle that he penned his immortal poem, “In Flanders Fields”. This poem was one of many; in addition to being a soldier and physician, he was an accomplished poet. During this battle the enemy launched the infamous gas attack against the Canadians. As well as caring for the wounded and dying, McCrae would often relieve his close friend Colonel Morrison in directing the fire of the Brigade’s sixteen 18-pounder quick fire (QF) field guns. He cut a unique figure wearing his gunner’s uniform from the South African War. His Herculean efforts were soon to take their toll. On 23 January 1918 he was observed to be unwell and was ordered to bed. Later that night word was received that Lieutenant-Colnel McCrae had been appointed consulting physician to the First British Army and his superior rushed to his bedside to give him the good news. McCrae’s condition was markedly worse and the next day pneumonia was diagnosed. His condition worsened steadily and just after midnight on 28 January, at age 45, he died. The legacy of this remarkable man lives on; his accomplishments as a soldier, a physician and a poet are reborn each November when his words remind us of the true cost of war. This “Citizen-Soldier” has an assured place in Canada’s history. General A.G.L. McNaughton was born in Moosomin, Saskatchewan, on 25 February 1887 and studied at McGill University. In May 1919 he was commissioned a Provisional Lieutenant and graduated with a Bachelor of Science degree in 1910. That same year he was appointed Lieutenant in the 3rd Montreal Battery, Canadian Field Artillery. In 1911 he was promoted Captain and represented the Canadian Field Artillery in Britain. On return to Canada he resumed his studies, gaining a Master of Science and Electrical Engineering degree. He lectured at McGill in hydro-electrical subjects during 1912-13, later entering private practice. On 28 May 1913 he was promoted Major and appointed to command the 3rd Battery. In September 1914 he was appointed to command the 4th Battery and embarked for England, arriving in France on 9 February 1915. In April he was wounded during the second battle of Ypres and invalided to England. In October he transferred to the 2nd Division Artillery returning to the front in January 1916 with the 6th Howitzer Brigade. He subsequently commanded the 21st Howitzer Battery was promoted to Lieutenant-Colonel and given command of the 11th Brigade, Canadian Field Artillery. In July 1916 he was seconded to the Canadian Corps Headquarters as Counter-Battery Officer – his work in devising innovative techniques, new equipments and the use of aircraft to locate enemy guns was recognized with the award of the Distinguished Service Order. His near perfect barrage at Valenciennes incorporating the well-planned use of smoke, the accurate use of counter-fire and with particular care taken to reduce damage to civilian life and property, remain to this day a classic example of the gunners’ art. He was credited with the invention of the “Box Barrage”, although he professed it to be more the result of evolution rather than invention. For these and other actions he was thrice Mentioned-in-Dispatches and appointed Companion of the Order of the Bath. During the final months of the war, at the battle of Soissons he was again wounded. On return to Canada he was appointed to the Permanent Force. In 1919 he was a member of the Committee for Reorganization of the Militia, appointed Brevet Colonel and to the General List. He became Deputy Chief of the Defence Staff in 1923 and in 1928 was appointed District Officer Commanding Militia District 11. He was promoted Major-General and appointed Chief of the General Staff on 1 January 1929. Subsequently he was seconded as President of the National Research Council. 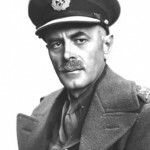 At the outbreak of hostilities in 1939, he was appointed to the Canadian Army Special Force in the rank of Major-General and as General Officer Commanding 1st Canadian Division. As the Canadian Army grew he moved on to command the Canadian Corps and the 1st Canadian Army in the rank of Lieutenant-General. In February 1944, at age 58, he returned to Canada and was promoted General. On 1 November 1944 he was placed on the Retired List and later that same month was sworn in as Minister of National Defence. He was offered the Governor-Generalship but refused the honour believing he could, given the anticipated impending crisis over conscription, be more use to Canada as minister. He remained in this portfolio until August 1948. Among his long and exceptional listing of accomplishments in the service of his country as a citizen soldier, scientist and statesman are the development of the Cathode Ray Direction Finder, the co-development of the Vickers Vedette fluing boat, the building of Trans-Canada Airways, the development of the discarding sabot round, the establishment of the National Aviation Museum, the establishment of unemployment relief camps and service as President of the United Nations Security Council. He was keenly interested in conservation and was among the first to plead for the preservation of Canada’s energy resources. General McNaughton was a remarkable Canadian whose legacy is felt by all citizens. His entire life was one of service; men of his calibre are rare national treasures. The Gunners of Canada are privileged to count him, “One of Ours”. Major-General “Dinky” Morrison was a leader in both civilian and military aspects of Canadian life; for the greater portion of his life, he served both worlds as “Citizen-Soldier”. Born in London, Ontario, on 6 July 1867, he was a journalist by profession and was for sixteen years, the Editor-in-Chief of the Ottawa Citizen. He devoted a large measure of his energies to the advancement of the Militia Force. His military career began with his appointment as a Second Lieutenant with Hamilton’s 4th Battery, Canadian Field Artillery. He distinguished himself early in his career attaining extraordinarily high marks during artillery training. As a subaltern with “D” Battery, Royal Canadian Artillery (RCA) in the South African War he was awarded the Distinguished Service Order for conspicuous courage and leadership in saving the guns at Leliefontein on 7 November 1900. Upon his repatriation to Canada he returned to his civilian career and to his service with the Militia Force. He was appointed Brevet Captain and served in various capacities for the next decade. When the Canadian Contingent was raised for service in the First World War, Lieutenant-Colonel Morrison, now the Director of Artillery, convinced the Minister of National Defence that the Divisional Artillery should be composed of existing units rather than, as was first proposed, from men drawn from across the entire Dominion. This action kept officers, non-commissioned officers and men together; this regard for homogeneity greatly enhanced the efficiency of the artillery in the Canadian Contingent. Having declined the appointment of Divisional Artillery Commander in favour of Lieutenant-Colonel H.E. 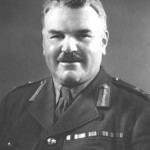 Burstall, who because of training and experience Morrison considered better fitted to the appointment, he accepted the command of the 1st Brigade, Canadian Field Artillery. Later, in September 1915 he was promoted to Brigadier-General and assumed the appointment of Brigadier-General Royal Artillery, 1st Canadian Divisional Artillery. On 2 October he assumed the same appointment with the newly arrived 2nd Canadian Divisional Artillery. Just more than one year later, in December 1916, he became the General Officer Commanding the Royal Artillery, the Canadian Corps. He was promoted Major-General in July 1918 and knighted the following year. Major-General Morrison was first, last and always a gunner. From the time he began his military career as a young man, he was an earnest student of artillery, training and tactics. His abilities as a leader and as a gunner were evidenced by the sustained efficiency and excellent shooting of all units under his command. His work with the Artillery of the Canadian Corps in the great series of battles from Vimy Ridge until the Armistice confirmed his stature as a remarkable artillery commander. In the reorganized post-war Permanent Active Militia, Major-General Morrison held successive appointments as Deputy Inspector General of Artillery, Master General of Ordnance and Adjutant General. He retired in 1924 as a result of ill-health and died at age 58 in the following year. Major-General Morrison was the epitome of a Citizen-Soldier. His concerns for his country and belief that service to one’s Sovereign was the duty of every citizen, provided a bench mark for future Canadians. 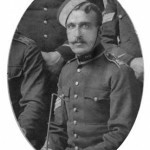 Major-General Henri Alexandre Panet was born in Quebec City on 24 July 1869; he graduated from the Royal Military College in the summer of 1891 and qualified Lieutenant in the Royal Canadian Artillery on 2 May 1894. In October 1899 Captain Panet was placed on establishment of the 2nd (Special Service) Battalion, Royal Canadian Regimen and dispatched as part of the 1st Contingent for service in South Africa; he was to join “C” Battery on its arrival. He was disappointed to learn that his battery would not arrive until March and feared that after Buller’s relief of Ladysmith and the surrender of General Cronje at Paardeberg Drift, there would be no opportunity to see action. His fears proved groundless as “C” Battery, assigned to the Rhodesian Field Force, soon began an epic journey. Panet sailed with his battery from Cape Town to Beira, Portuguese East Africa. Here they debarked and began their march through Rhodesia and the Transvall to link with Colonel Plummer’s forces for the relief of Mafeking. This memorable march was described by Field-Marshall Lord Roberts as “one of incredible rapidity”. Under Panet’s direction a fortified camp, named Fort Canada, was built at Rustenberg. Sections of “C” Battery supported small mounted columns operating from this safe haven and made a dozen sorties into the surrounding country. In recognition of his work in this campaign Panet was awarded the Distinguished Service Order. 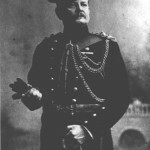 On return to Canada and promotion to Major in May 1901, he was appointed Staff Adjutant at the Royal Military College. Following two senior staff appointments during the period 1905-1909 he was appointed to command “B” Battery. The battery prospered under his leadership, twice winning the coveted Royal Canadian Field Artillery Challenge Cup. The eve of the First World War found Panet in Petawawa with his Brigade. After a quick return to Kingston, they were soon on the way to Valcartier to assist in the administration and training of the Canadian Expeditionary Force. On 26 August the Brigade was mobilized and on 1 October departed for England to spend a miserable winter on the Salisbury Plain. Lieutenant-Colonel Panet deployed to Flanders with his Brigade on 25 July 1915. After being held in reserve they finally went into action on the Somme in late November. On 24 June 1916 he was promoted Colonel and Mentioned-in-Dispatches. He was to receive this distinction a total of seven times. 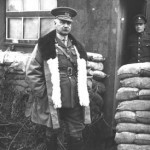 In December 1916 he was promoted Brigadier-General and appointed Commander, Royal Artillery 2nd Canadian Division, an appointment he held until April 1919. He was promoted again on 4 May 1921 and served as District Officer Commanding Number 1 District from October 1919 until June 1922 and in the same appointment in Number 2 District from June 1922 to June 1923. He was appointed Adjutant General on 1 July 1922 and retired to pension on 31 December 1930 having served The Royal Regiment for more than 40 years. Major-General Panet continued to serve The Royal Regiment after his retirement as the Colonel Commandant. He died in Kingston on 14 August 1951 and was buried with full military honours. Major-General Edward Chester “Johnny” Plow was born in St. Albans, Vermont, in September 1904. Educated at Lower Canada College, he entered the Royal Military College in 1921. His elder brother, John, preceded him to the college and the practice of referring to new cadets by their elder brother’s Christian name was followed; for the rest of his life he bore the name, “Johnny”. He later returned to the college where he lectured in gunnery and in military history. His first posting was to “B” Battery, Royal Canadian Horse Artillery (RCHA) in Kingston where he played a prominent role in the mechanization of the RCHA. In 1930, he brought the first Leyland trucks and Crossley six-wheeled staff cars to Kingston and later studied mechanization in the United Kingdom. On return to Kingston, he was appointed RCHA Brigade Adjutant. At the outbreak of war he was attending a staff course in England and he remained there to join his battery in December 1939. After a brief appointment as Brigade Major Royal Artillery, 1st Canadian Division, he commanded the 8th Army Field Regiment (Self-propelled) and later the following year became the 1st Canadian Corps initial Counter-Bombardment Officer. Concurrent with promotion to Brigadier in the spring of 1942, he assumed the post of Commander Royal Artillery, 3rd Canadian Division, followed by appointment as Commander Corps Royal Artillery, 1 Canadian Corps in December 1943. While on the Ortona front, he became concerned with the inability of the Counter-Battery Organization to deal with enemy mortars effectively. Under his guidance, a dedicated Counter-Mortar Organization was developed and fielded. Returning to North-West Europe in December 1944, as Brigadier Royal Artillery at Headquarters First Canadian Army, he planned the deployment of the artillery assigned to support Operation VERITABLE, in total over 1,000 guns. The deployment was hampered by an early thaw, restrictions on daylight movement and complicated by the immense quantities of ammunition needed. On 8 February, with only hours to spare, all guns reported ready; the Brigadier smiled. At war’s end, he commanded the artillery component of the Canadian Army Occupation Force and in October departed the continent to assume an appointment in England. Prior to the cessation of hostilities, the Brigadier set up a committee to consider how best to recognize the contribution of Canada’s Gunners. His work led to a series of bursaries in the years 1946 to 1951, grants to the Disabled Fund of the Department of Veteran’s Affairs and to the erection of the National Artillery Memorial at Major’s Hill Park near Parliament Hill. In the post-war era, Brigadier Plow organized the Directorate of Armament Development and the Directorate of Artillery at Army Headquarters. He commanded British Columbia Area for one year followed by a two-year appointment as the Senior Canadian Liaison Officer, London, England. Concurrent with promotion to Major-General in February 1951, he was appointed to command Eastern Command, a position he held until his retirement in 1958. He enjoyed the life and the people of Halifax and quickly earned their respect and cooperation. On 15 January 1959, Major-General Plow was appointed Lieutenant-Governor of the Province of Nova Scotia. This vice-regal appointment was well received by the citizens of Nova Scotia and was a fitting culmination of a lifetime of service. Major-General Plow died at Brockville, Ontario, on 25 April 1988. Major-General John Hamilton “Ham” Roberts was born in the South-Western Manitoba village of Pipestone on 21 December 1891. He was educated at Epsom College, England, University School, Victoria, at Toronto’s Upper Canada College and at the Royal Military College. A robust and active student, he excelled in sports, particularly football, tennis, shooting and cricket. Graduating in 1914, he was commissioned in the Royal Canadian Artillery. Arriving in Flanders in the summer of 1915, he won the Military Cross at the Somme in 1916 and served continuously with The Royal Canadian Horse Artillery (RCHA) until he was wounded in action in March 1918. On release from hospital he was employed as an instructor until the armistice. On return to Canada he remained in the army and was soon training the gunners of the newly organized Permanent Force. In 1924, he moved to Winnipeg to perform similar duties and later transferred to Halifax for duty with the heavy artillery. He was promoted Major in 1929 and Lieutenant-Colonel at the outset of the Second World War. He went overseas with the 1st Field Brigade of the 1st Canadian Division. This unit was reorganized as 1st Field Regiment, RCHA on arrival in England. When his regiment was ordered back to England on the final collapse of France, he was the only commander in the allied forces to withdraw with all his guns. He also returned with 12 Bofors, seven predictors, three Bren gun carriers and a number of technical vehicles. Promoted Brigadier in July 1940, he was appointed Commander, Royal Artillery, 1st Canadian Division and one year later he rose to the appointment of Commander Corps, Royal Artillery, 1st Canadian Corps. In April the following year he was promoted Major-General and assumed command of the 2nd Canadian Division. In August 1942, he was appointed military commander of Operation “JUBILEE”, the ill-fated Dieppe Raid. The force was composed of large elements of two 2nd Canadian Division brigades – he was, therefore, the logical commander. He conducted the entire operation from the bridge of a destroyer while under heavy enemy fire and with grim resolve he mounted the assault. For conducting himself with “ability, courage and determination”, he was awarded the Distinguished Service Order. France recognized his merit and gallantry by awarding him the cravat of Commander of the Legion of Honour and the Croix de Guerre with Palm. 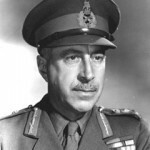 Later in 1942, Major-General Roberts commanded the Canadian Reinforcement Units in the United Kingdom and retired from the army in 1945 after 35 years service. After the war he accepted a post with the Imperial War Graves Commission. He fully retired in 1950. A decorated and highly competent officer, he silently accepted the consequence of command on that fateful day in August 1942. A humane and caring man, he served Canada, the Canadian Army and The Royal Regiment long and well. Major-General Roberts died at his home in Jersey, The Channel Islands, on 17 December 1962. Frank Lewis Saunders was born at Gosport, Hants, England, on 28 November 1910. Six years later, on the death of his father, arrangements were made to place both he and George, his younger brother, in a London orphanage. At the last moment an aunt and uncle took the boys in to join their own seven children. It was a difficult, spartan life but knowing no other, it was accepted readily. Attending state-funded schools in England, young Frank completed the top class, Standard VII, and immediately was apprenticed to the shoemaking firm of Russell and Bromely. He undertook additional jobs to augment his meagre income; at various times he worked as a labourer and as a lumberjack. During the late 1920s the Anglican Church sponsored a programme to promote immigration to Western Canada. In return for passage, the immigrant would repay the fare by labouring on one of the cooperative farms. Young Frank saw an opportunity to improve his lot and found himself working on a modest farm near Wauchope, Saskatchewan. The work was hard but tolerable. Here he was to develop a deep love for animals, particularly horses. After working off his debt he set off to satisfy his curiosity about his newly adopted country. After saving the train fare to Winnipeg he went in search of work and adventure. After several days in the city he happened to be on the streets of Winnipeg when “C” Battery of The Royal Canadian Horse Artillery (RCHA) paraded through the city. The splendid horses, the jangling harness, the gleaming guns and the “smashing” uniforms lit a fire in young Frank Saunders. On 29 May 1929 he enlisted in “C” Battery to begin a career and an association with The Royal Regiment that would last some 63 years. He served at Fort Osborne Barracks in Winnipeg until December 1939 when he sailed for England. During the Second World War he saw service in Sicily, Italy, France, Holland and Germany; by war’s end he had risen to Battery Sergeant-Major and three days after VE Day he returned home to Winnipeg. With the raising of the Special Force in response to a United Nations request for Canadian assistance, he volunteered and served with the 1st Regiment Royal Canadian Horse Artillery in Korea from April 1952 until May 1953. He was promoted to Warrant Officer Class I on 20 June 1960 and served three years as Regimental Sergeant Major of the Royal Canadian Artillery Depot. In 1963 he was posted back to Winnipeg on Instructional Staff duties and two years later, on 18 July 1966, he retired to pension. After a short period of leave he joined the Royal Bank of Canada where he worked 10 years in the Winnipeg Computer Processing Centre. He retired for a second time in September 1976. A strong supporter of Canadian Gunner institutions, he served for 21 years as president of the Winnipeg RCHA Association. He was a member of the Monarchist League of Canada and a member of Branch 100, the Royal Canadian Legion. He also was active in the Masonic Lodge. “Hank”, as he was known to his friends, was a frequent contributor to The Quadrant, one The Royal Regiment’s “in-house” journals. His recollections, military vocabulary and unique way of looking at army life gave a special life and character to his stories of soldiering. After a short illness, Hank Saunders, a Gunner of the old school, died at Winnipeg on 14 January 1993. He is buried in the military section of Brookside Cemetery. Born in South Woodford, England, in December 1881, he was educated at St Lawrence College and passed the first examination of the incorporated Law Society. His youthful attention was drawn to the New World and in particular, to the excitement of the Klondike Gold Rush. He joined the North West Mounted Police (NWMP) in 1898, serving with Colonel Sam Steele in the Klondike, gaining promotion to Sergeant. His North West Mounted Police service was interrupted in 1902 when he volunteered for duty in South Africa with the 5th Canadian Mounted Rifles. He was granted leave and seconded to the Canadian Contingent, however, he arrived too late to see action. On 31 October 1903 Sergeant Sharman was discharged from the NWMP having served his obligatory engagement. Immediately following his discharge he was employed as Secretary to the Commissioner. Returning to Eastern Canada and a position with the Department of Agriculture, he was appointed a Provisional Lieutenant in the 2nd Battery, Canadian Field Artillery in April 1906; he completed his qualification training two years later, and in June 1908 was promoted Captain. In 1911 he represented the Canadian Artillery as part of the Canadian Contingent at the coronation of King George V.
Captain Sharman was appointed Adjutant of the 8th Field Brigade in February 1912. 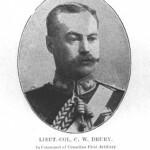 He served in this appointment until mid-April 1913 when he was promoted Major and given command of the 2nd Ottawa Battery. 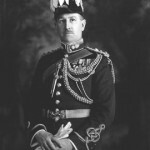 At the outbreak of the First World War, Major Sharman was seconded to the Canadian Expeditionary Force and assigned command of the 1st Brigade’s 1st Battery. He was wounded at Ypres, evacuated to England and subsequently placed on convalescent leave in Canada. Promoted to Lieutenant-Colonel in July 1916, he returned to France to command the 4th Brigade, Canadian Field Artillery, the only artillery formation to accompany the 2nd Division to France. In April 1917 Lieutenant-Colonel Sharman was appointed Chief Instructor, Canadian School of Gunnery at Whitley, England, and from 1917 until June 1918 also served as Commandant Canadian Reserve Artillery at that same location. On the creation of the 16th Brigade, a newly formed, all volunteer formation specifically raised for duty in Northern Russia, Lieutenant-Colonel Sharman was selected for command. He became Commander Royal Artillery, Dvina Force and handled Canadian and Russian guns as well as a number of Royal Navy gunboats in a series of engagements against the vastly numerically superior Bolshevik forces. 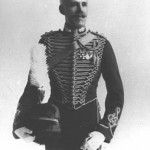 His practical ability and determined nature was demonstrated by the transport of three sorely-needed 60-pounders over land by sled 120 miles from Murmansk to the front in only ten days, an undertaking the Ordnance authorities had pronounced impossible, Lieutenant-Colonel Sharman was awarded the Order of St Vladimire with Swords, 4th Class, by the Czarist government in recognition of his work and leadership. On his return to Canada in June 1919, he was appointed Brevet Colonel. 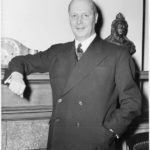 Returning to civilian life and the civil service, he later served as Chief of the Canadian Narcotic Service 1927-1946, was Canadian delegate to the Opium Advisory Committee 1934-1946, acted as Chairman of the United Nations Narcotic Commission 1946-1947 and worked as a member of the United Nations Drug Supervisory Committee 1948-1953. He retired in 1958. Colonel Sharman died in Ottawa on 15 May 1970; his service to Canada and to the guns of The Royal Regiment is unique. A third-generation career officer, Guy Granville Simonds was born at Ixworth, Sussex, England, in 1903. He was brought to Vancouver at age 9 and subsequently attended Ashbury College in Ottawa; at age 18 he was admitted to the Royal Military College, Kingston. He soon gained a reputation for excellence, achieving a “Distinguished” grading in half his subjects. On graduation in 1925 he was commissioned in the Royal Canadian Horse Artillery (RCHA) and, after seven years as a regimental officer, was selected to attend the Gunnery Staff Course in the United Kingdom. On return to Canada he was employed as an Instructor-in-Gunnery in the Royal Canadian School of Artillery (Mobile) until he was selected to attend the United Kingdom Staff College in Camberley, the first post-war RCA officer to do so. His knowledge and abilities as an instructor gained him the post of Associate Professor of Artillery at RMC and later the post of Instructor in Tactics. By 1939 his potential was clear. At the outbreak of war Major Simonds went overseas on the staff of 1st Canadian Division and for a three-month period in 1940 commanded the 1st Field Regiment, Royal Canadian Horse Artillery. In 1941 he organized and commanded the first Canadian Junior War Staff Course overseas. In 1942, General Montgomery ordered all officers under his command to undergo a programme of special courses. Brigadier Simonds advised Montgomery that Canadian officers had been taking courses for more than two years and their pressing need was more contact with their men. To everyone’s surprise, Montgomery said, “Of course. Quite right!”. This encounter marked the beginning of a strong, lasting friendship. In the spring of 1943, he was appointed to command the 2nd Canadian Division and two weeks later promoted. As Canada’s youngest Major-General, he assumed command of the 1st Canadian Division then preparing to fight in Sicily. His campaign was swift and successful. He took the division to Italy and later was recalled to Europe, promoted to Lieutenant-General and appointed to command the 2nd Canadian Corps, then in England training for the invasion of Normandy. Lieutenant-General Simonds conducted a series of successful campaigns; the Walchern Island battle and the opening of the Scheldt to allied shipping were preludes to the Caen-Falaise battle. Commanding 150,000 men of the 2nd Canadian Corps in 1944, he was ordered to close the northern half of the Falaise Gap – a possible route of escape for the retreating German armies. His innovative, aggressive initiatives have become textbook examples of generalship. At the end of 15 days the enemy was in disorder. The Commander, General Dwight Eisenhower, pronounced the victory to be one of the three most decisive battles for Europe. 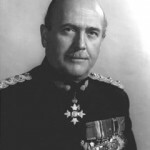 At the end of hostilities, Lieutenant-General Simonds commanded the Canadian Forces in the Netherlands and the Canadian Army of Occupation Forces in North-West Germany. 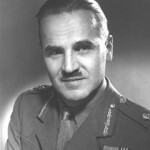 Following a period of leave he was appointed to the Imperial Defence College in Britain and in 1949 assumed command of the National Defence College and the Canadian Army Staff College. After two years he was appointed Chief of the General Staff, a position he held until his retirement to pension in 1956. Lieutenant-General Simond’s many accomplishments were recognized by his Sovereign, the governments of France and Poland, and by Canada. He was appointed Commander of the Order of the Bath, awarded the French Legion of Honour and Croix de Guerre, the Polish Order of Military Virtue and in 1970 made a Companion of the Order of Canada. He was the epitomy of a soldier: lithe, erect, immaculate and displaying self-discipline in all things. His constantly appraising eyes and well-clipped moustache marked him as a professional army officer. He was much in demand as a speaker in civil life and was ever critical of Canadian defence policy. He objected to the destruction of historic buildings and lamented the country’s failure to develop secondary industries. On leaving the army he became president of Toronto Brick Company and vice-president and director of Commercial Life and Halifax Insurance companies. He was active in his community, serving as National Chairman of the Veteran’s Service Committee of the Red Cross, as a member of the Toronto Arts Foundation and as president of the National Ballet Guild. 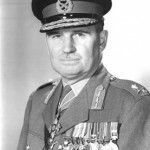 Lieutenant-General Simonds died on 15 May 1974 at Toronto and was buried with full military honours. Constantine Falkland Cary Smythe was born, raised and educated in Toronto. Although small in stature, he excelled in sports, particularly hockey. His aggressive, determined play and hard work combined to make him a formidable opponent; he was elected captain of the 1914-1915 Varsity Juniors. When war broke out in Europe, Conn, then nineteen, tried to enlist in the Princess Patricia’s Canadian Light Infantry; mistaking his diminutive size for youth he was gruffly advised, “no children allowed in this battalion!”. He subsequently joined the 25th Battery, Canadian Field Artillery. Earning a commission in 1915, he was invited to join the 40th Battery, popularly known as “the Sportsman’s Battery”. After the Canadian triumph at Vimy Ridge, Lieutenant Smythe transferred to the Royal Flying Corps as an artillery observation pilot. On 18 October 1918 he was shot down and wounded at Passchendaele; he spent 14 months a Prisoner of War, returning to Toronto in February 1919. Although unable to compete due to his war injuries, hockey remained his passion and he soon found his niche as coach and manager of the Varsity Grads, winning the 1927 Allan Cup and representing Canada at the 1928 Olympics. This success led him to the National Hockey League as coach of the fledgling New York Rangers. After a brief tenure he moved to the Toronto Pats and by the end of 1927, owned the team. He immediately renamed the team the Toronto Maple Leafs, adopting as team insignia the Maple Leaf cap badge of the Canadian Expeditionary Force. In late 1931, amid the despair of the Great Depression, he opened Maple Leaf Gardens and won the Stanley Cup the following spring. At age 44, war once again entered his life. By July 1940 he was a Captain in the Canadian Officer Training Corps encouraging members of his organization to enlist; he soon had 25 of his employees in uniform. Unable to get overseas, he recalled his First War experience and orchestrated a reincarnation of “the Sportsman’s Battery”. In September 1941, the 30th Battery of the 7th Toronto Regiment was formed attracting athletes from many sports. In the spring of 1942 while he was attending a Battery Commander’s Course in Petawawa, the Maple Leafs lost the first three games of the Stanley Cup final to Detroit. In a unprecedented turnabout, they recovered and won the Cup taking the final four games! After manning anti-aircraft defences on both Canadian coasts, his Battery sailed for England in October 1942. Initially deployed to Colchester they soon moved south and later, near Dover to support the Normandy invasion. Five weeks after D-Day, Conn led his Battery to the continent and into action. They were soon tasked to support Operation “SPRING”, the 2nd Canadian Corps breakout from Normandy. Assigned to protect the Orne bridges in Caen, the Battery received intense bombing and shelling by the Luftwaffe; with many vehicles damaged and burning, Major Smythe organized fire fighting parties and saved most of his vehicles. The bombardment continued for two nights leaving four dead and 14 wounded, including Conn who received a severe shrapnel wound to his back and spine. Evacuated to a Casualty Clearing Station, he spent the night in great agony, calling for help that only arrived the following morning. He began to hear disquieting stories of seriously undermanned units, of untrained men and decimated units sent into battle as reinforcements. While convalescing at the No. 1 Canadian Neurological Hospital he compiled grim facts corroborating these stories. When invalided to Canada he found the Canadian public unaware of this serious state of affairs. He informed The Globe and Mail and a scathing editorial appeared. Reaction was immediate; the Defence Minister visited Normandy and confirmed the shortage of trained reinforcements. This sad episode ended Conn’s military career. After recovering he returned to hockey, his team winning the Stanley Cup in 1945, 1949 and 1951. His wound left him with a marked disability, inspiring him to aid the less fortunate. He immersed himself in philanthropic activities, working for the Ontario Society for Crippled Children, the annual Easter Seal Campaigns, Scarborough’s Variety Village, the Crippled Children’s Centre and the Ontario Community Centre for the Deaf. Conn Smythe’s contributions to Canada, his community and to sports were recognized in 1980 with his appointment to the Order of Canada. Major Conn Smythe, businessman, soldier and sportsman, a builder of the Canadian nation and valued member of The Royal Regiment died in his sleep on 18 November 1980. A native of Toronto, Major General Hebert Alan Sparling received his early education at Ottawa and Saint John, New Brunswick. He entered the Royal Military College in the summer of 1925 and graduated four years later with the nickname “Sparky” as his brother had before him. Upon graduation he was commissioned a Lieutenant and posted to “B” Battery, Royal Canadian Horse Artillery (RCHA) in Kingston, where he served in a variety of appointments. From October 1932 until August 1933 he attended the Artillery Staff Course (Canada) and subsequently undertook the United Kingdom’s year-long Gunnery Staff Course and, on its completion in November 1934, was appointed Instructor-in-Gunnery at the Royal Canadian School of Artillery in Kingston; in March 1935 he was appointed to similar duties in Winnipeg where he served until the spring of 1938. His attendance at the Camberley Staff College in January 1939 was preceded by a short term of service as a 3rd Grade Staff Officer in the Directorate of Military Operations and Intelligence. The Camberley Staff College course was abruptly terminated on 3 September 1939 when Great Britain declared war on Germany. 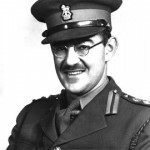 Returning immediately to Canada, he served briefly in the Adjutant General’s Branch and on promotion to Major, for several months in the Directorate of Military Training and Staff Duties; in April 1940 he was appointed Brigade Major, Royal Artillery at the artillery headquarters of the 2nd Canadian Division. 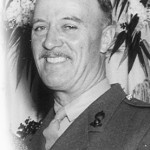 He embarked with the Division in August and continued to serve there until promoted to Lieutenant-Colonel in May 1941. Once again returning to Canada he was appointed to the Directorate of Military Training in Ottawa until his return overseas in September 1942. The following month he was given command of the 13th Field Regiment, a post he held until May 1943. 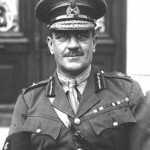 A rapid series of appointments followed: General Staff Officer on the staff of the Brigadier, Royal Artillery with attachment to 21 Army Group Mission in North Africa, attachment to the staff of the Brigadier Royal Artillery, Headquarters 8th Army for the assault on Italy, observer to the 1st Canadian Tank Brigade in Sicily, called back to the United Kingdom to report on the operations in Sicily, observer to Headquarters 8th Army and briefly in the same capacity to Headquarters 13 British Corps in Italy. He was recalled to the United Kingdom in October 1943. On arrival in England he was promoted Brigadier and appointed Commander Royal Artillery, 3rd Canadian Infantry Division; in December he returned to Italy to assume the same appointment with the 5th Canadian Armoured Division, serving there until December 1944. He then transferred to Headquarters 1st Canadian Corps in Italy and was appointed Commander Corps Royal Artillery, a post he held both there and in North-West Europe until after VE Day. In June 1945 he returned to Canada to command the 6th Canadian Infantry Division Artillery, then forming for service in the Pacific Theatre. Following the surrender of Japan he returned to Europe as Commander Royal Artillery, 3rd Canadian Infantry Division, Canadian Army Occupation Force in Germany. In May 1946 with the 3rd Division’s return to Canada, he was appointed District Officer Commanding, Military District Number 2, headquartered in Toronto. The following year on the reorganization of the Army, he assumed the appointment of Officer-in-Charge Administration at Headquarters Central Command. The summer of 1947 brought him command of Western Ontario Area. In July 1949 he again returned to Army Headquarters to serve as Deputy Chief of the General Staff. The following year he attended the one-year course at the Imperial Defence College and in November of that year was called back to Canada, promoted to Major-General and assumed the duties of Vice-Chief of the General Staff. In December 1955 he was transferred to Washington to fill the dual appointments of Chairman, Canadian Joint Staff and Canadian Representative to the Permanent Military Committee of the North Atlantic Treaty Organization. In September 1958 he returned home to become General Officer Commanding Central Command. In June 1962 Major-General Sparling commenced retirement leave and retired to pension early the following year. Active in retirement, he worked as a member of the Ontario Police Commission for 16 years. For 10 of these years he also was Executive Officer of the Toronto Redevelopment Advisory Council, a voluntary group advising on Toronto’s downtown development. Maintaining his close association with The Royal Regiment, he chaired the Royal Canadian Artillery Association’s History Committee, guiding the production of the definitive two volume Regimental history, The Gunners of Canada. In January 1969 he accepted the appointment of Colonel Commandant of The Royal Regiment of Canadian Artillery, a role he enthusiastically undertook until early 1975. Major-General Sparling was a Commander of the Most Excellent Order of the British Empire, a Companion of the Distinguished Service Order, was Mentioned-in-Despatches and was appointed to the United States of America Legion of Merit in the Grade of Officer. He resided in Oakville, Ontario, from 1962 until his death in 1995. Samuel Benfield Steele was born at Purbrook, Ontario, in 1849, the son of a retired Royal Navy Captain. Following the family military tradition, he enlisted in the Simcoe Militia during the Fenian Raids of 1866. He qualified for an Ensign’s commission, however, preferred to serve in the ranks to gain experience. As a private soldier, he accompanied Wolseley on his expedition to the Red River. He returned to Ontario, and still keenly interested in the military, was one of the first to enlist in the first Canadian regular army unit, “A” Battery of the Royal Canadian Artillery. An active and robust soldier, young Same Steele was quick to master a measure of the gunner’s art and was soon promoted sergeant. In August of 1873, plans were being laid for the creation of the North West Mounted Police. Sergeant Steele arranged to be introduced to Major Walsh, the Force Recruiter. Having arranged to serve with Walsh as his Sergeant-Major if a discharge from the artillery could be arranged, Steele next appealed to Lieutenant-Colonel French (who was to be the first commissioner of the North West Mounted Police) who, of course, granted the requested discharge. Steele was the third man to enlist. He took part in the great western march of the North West Mounted Police in 1874, travelling over 1,255 miles on horseback. Steele’s duties primarily involved policing the area through which the Canadian Pacific Railway was being built, enforcing prohibition and generally keeping order. In April 1885 he was appointed Superintendent and, when the North West Rebellion broke out, organized a mounted force called “Steele’s Scouts”; he subsequently commanded the cavalry that went in pursuit of Big Bear. In 1887 he was dispatched into the Kootenays where American miners were clashing with the natives. Here he established Fort Steele, now a historic park. During the Klondike Gold Rush, Steele was sent north to police the mountain passes connecting the Alaskan seacoast and the Canadian gold fields. His exploits in the Klondike are legendary; numerous authors have written stirring accounts of “Smoothbore Steele”, a nickname referring to his gunner origin. No sooner had the Klondike quieted than war broke out in South Africa. Steele resigned from the North West Mounted Police to become the founding commander of Lord Strathcona’s Horse in 1899. 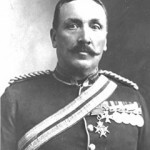 After the war he remained in South Africa to command the Trasvaaal Section of the South African Mounted Constabulary. He returned to Canada in 1906 and joined the Permanent Force, commanding in turn the Calgary and Winnipeg Military Districts and rising to the rank of Major-General. In 1914 he became Inspector General for Western Canada, responsible for the training of western troops for the Second Contingent of the Canadian Expeditionary Force. He commanded and trained the 2nd Canadian Division and accompanied it to England although not to the front. He remained as commander of the Shorncliffe Area and after hostilities ceased, retired from the army in 1918. Retirement did not sit well with Sam Steele and, nearing seventy years of age, he died on 30 January 1919 in London England, where he was accorded a hero’s funeral. With his death, an age passed away; the Canadian West would never again be the same and other figures would pale by comparison. His life and times loom large on history’s screen. His early days with the Royal Canadian Artillery contributed strongly to what he was, and what he became. Through men like him, The Royal Regiment played a significant role in the opening of the Canadian West – he was one of a kind. The second son of a Scots officer, Thomas Bland Strange was born in Meerut, India, on 15 September 1831 and educated at Edinburgh Academy. Unable, for financial reasons, to follow his brother to Sandhurst, young Tom was accepted the Royal Military Academy, Woolwich. Here talent and performance were more important than good breeding. He graduated at age 20, was commissioned in the Royal Artillery and posted to Gibraltar. He devoted a large measure of his life to his physical and intellectual development. A tall, imposing figure with a remarkable physique, a commanding voice and for much of his life, a full flowing beard, he placed great importance on the hardening and welfare of his troops. Promoted Lieutenant in November 1853, he was posted Jamaica where he contracted yellow fever. Later transferred to the hospitable Bahamas, he busied himself at improving Nassau’s defences. In 1856 he was ordered to the Crimea, however, before he reached England, the war was over. One year later he was dispatched to India to assist in quelling the mutiny of the Bengal Army. He soon demonstrated his characteristic daring and determination; he was Mentioned-in-Dispatches on four occasions. He remained in the Punjab where he delighted in finding novel ways to train his soldiers. He disagreed with his superior concerning the pay of his soldiers and, while ultimately upheld morally and legally, found his tenure increasingly difficult. Prior to returning to England in 1864 and while recovering from a second bout of fever, he made a six-month trek from Tibet to Kashmir, revelling in the physical hardship. After promotion to Captain and a brief service in Ireland, he was appointed to the Instructional Staff at Woolwich. Subsequently tasked to train the Volunteer Artillery, he again ran afoul of the system, publicly condemning the substandard equipment. He was disciplined, an occurrence which likely precipitated his move to Canada in 1872. He was appointed Inspector of Artillery and Warlike Stores for Canada and to command of “B” Battery. His relief of the departing British troops was true to form; his direct and uncompromising manner caused no little discomfiture to the departing officers, et gained much needed equipment for the garrison. He was accepted immediately by the citizens of Quebec; his fluency in French and his involvement in the social and sporting activities of the community earned their respect and approval. In his 1873 report he recommended the establishment of three important Canadian institutions: the Royal Military College, the Dominion Artillery Association and the Dominion Cartridge Factory. In varying form all three exist today. He also recommended that the west coast defence be based on a four battery Brigade of Garrison Artillery; this too was acted upon. After eight years in his beloved Quebec, Lieutenant-Colonel Strange was moved to Kingston where he also became a prominent member of the community. Then, at age 51 and promotion to Colonel, he was advised that he would be forced to retire with the Honourary rank of Major-General. His bitterness at forced retirement was eased in small measures when his gunners, the first Canadian Team to compete at Shoeburyness, England, returned home with the Governor General’s Prize. General Strange moved to Alberta, purchased a large tract of land and established a ranch. 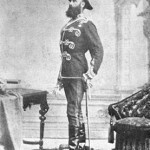 In the spring of 1885 and the outbreak of the North West Rebellion, Big Tom Strange, as he was known locally, was asked to organize the defence of the Alberta District. The Alberta Field Force, composed of cowboys, Mounted Police and three untested Militia battalions acquitted themselves well, particularly in the engagement at Frenchman Butte. He returned to his ranch and while working, was kicked by a horse; his recovery was never complete. To add insult to injury, he was informed by the British War Office that, as he had returned to service with the Canadian Militia, his pension was cut off. After a short abortive attempt at politics, he sold the ranch and returned to England. He remained active until his death at Camberly on 9 July 1925. The contribution made by General Strange is epic in proportion. On his retirement, Major-General R.G.A. Luard, Major-General commanding the Militia noted that more than 2,700 officers and men had served with Tom Strange during the time he commanded “B” Battery, and referred to him as “a father to the Artillery of Canada”. We could do no better. A native of Ottawa, Brigadier Percy Arthur Stanley Todd was educated at Bedford, England, and at the Ottawa Collegiate Institute. In the year following the outbreak of the Great War, he was one of 200 eager young men who undertook a seven-day, highly competitive examination competing for the 53 available positions at the Royal Military College. After winning a place, he completed the intensive wartime one-year course and, in 1916, was commissioned a 2nd Lieutenant in the Royal Artillery. He soon embarked for the United Kingdom. After training in England, July 1917 saw him enroute to Egypt. After more than one year of a hot slow-moving war in Egypt and Palestine, he contracted diphtheria and in November 1917 was invalided to Cairo and subsequently transferred to England. 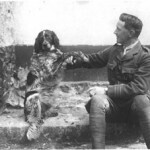 He was discharged from the British Army and returned to Canada in 1919. After a brief relapse with his illness, he became the City Manager for an insurance company, all the while continuing to serve in the Governor General’s Foot Guards of the Non-Permanent Active Militia. In January 1921 he transferred to the 1st Field Brigade, Royal Canadian Artillery where he continued to serve until the outbreak of the Second World War, rising to command the Brigade as a Lieutenant-Colonel. Early in 1940 he volunteered for active service, reverting to the rank of Major to do so. After seeing his gunners off to England, he spent six months instructing at the Canadian Artillery Training Centre, Kingston. He was soon appointed to command a battery of the 5th Field Regiment and, in November 1941 was posted as Brigade Major, Headquarters, Royal Canadian Artillery, 2nd Canadian Division. In late 1942 he was appointed to the Order of the British Empire and promoted to command the 4th Field Regiment, a command he held for a full year until his appointment in January 1943 as Commander, Royal Artillery, 3rd Canadian Division with concurrent promotion to Brigadier. He was responsible for the training, preparation and implementation of the massive tri-service fire plan supporting the 3rd Division D-Day assault on Normandy; he coordinated the fire support from the bridge of H.M.S. Hilary. The need to fire artillery from the deck of wildly pitching landing craft in rough seas and the unique control measures necessary presented many challenges. The success of the landings was clear evidence of his meticulous preparations. In recognition of his work he was awarded the Distinguished Service Order. In November 1944 he was appointed Commander, Corps Royal Artillery, 2nd Canadian Corps and subsequently given command of the 1st Canadian Infantry Brigade (often referred to as the Canadian Berlin Brigade) in June 1945. He soon returned to Canada and was placed on the Reserve List. Returning to civilian life once again, Brigadier Todd assumed the appointment of General Manager of the Hamilton Street Railway and, as before, maintained his long association with the army. He was appointed Commander, Royal Artillery 1st Division (Militia) in January 1946, a position he held until September 1954 when he transferred to the Supplementary Reserve. He served as Honorary Colonel of the 18th Field Regiment from 1954 until 1959 and as Honorary Colonel Commandant of The Royal Regiment of Canadian Artillery from 1958 until 1962. In this latter role he actively and visibly represented all Canadian Gunners. 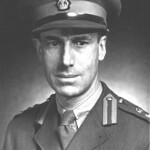 Brigadier Todd played a key role in the reopening of the Royal Military College after the war and served as Chairman of the Conference of Defence Associations. His long record of service to his country and to the guns rarely has been equalled. Brigadier Todd passed away in 1996. Leo Joseph Vallee was born in Carleton Place, Ontario, on 15 December 1923. His father worked in a spinning mill and raised Leo and his younger brother after his wife’s death in 1928. An active youth excelling in sports and outdoor activities, Leo attended schools in Carleton Place and Renfrew. In February 1940, at age 16, Rudy (an obvious nickname) joined the Lanark and Renfrew Scottish Regiment and soon attended his first summer camp in Petawawa. In the following March he enlisted in the Royal Canadian Artillery and trained at Peterborough and Petawawa. The possibility of adventure, challenge and a broad general education appealed to young Gunner Vallee. In July 1941 he embarked as a member of the 14th Field Regiment RCA on the Empress of Canada, bound for Britain. During the three years he would spend with his unit preparing to invade France ,he mastered the duties of driver, gun number, signaller and technical assistant as the unit learned to use its self-propelled howitzers. Gunner Vallee played his part in the historic assault. After a month and a half in Normandy he earned the Military Medal for “gallant and distinguished services in the field” by his actions in a gun position fire which ignited charge bags and spread to a gun. He served in North-West Europe as a bombardier until hostilities ended, then volunteered for the Canadian Army Pacific Force. On repatriation he joined the 1st Canadian Field Artillery Battalion RCA, Petawawa, but never deployed to the theatre. At the end of the Pacific war in August 1945, he was posted to the 71st Field Regiment RCA in Petawawa. In September 1946 he married and joined the 1st Regiment, Royal Canadian Horse Artillery (1 RCHA) in Camp Shilo, Manitoba. In early 1947 he attended the Unit Air Transportability Course at the Joint Air School, Rivers, Manitoba, beginning a long association with airborne forces. He was posted to B Light Battery (Para) 1 RCHA as a Group III instructor in the spring of 1949, and qualified as a parachutist. The following September he joined 2nd Field Regiment, Royal Canadian Horse Artillery as it prepared for service in Korea. In October 1950 he was sent to Korea with its Advance Water Party, but returned to Fort Lewis in December 1950, to rejoin the Regiment as it trained. After six months training at Fort Lewis, his unit boarded the American ship, General Edwin D. Patrick, arriving on 4 May 1951 in Pusan, Korea. Now a Warrant Officer 2nd Class, he served in Korea until 27 December. Soon after he found himself at Shilo and the Gunner School once again. He qualified as a Field Branch Artillery Instructor (Group IV), and was posted to 1st Light Battery (Para) as Battery Sergeant Major. In late 1957, as part of the normal three-year rotation of regiments to the 4th Canadian Infantry Brigade Group serving with the British Army of the Rhine, Sergeant-Major Vallee, now with the British Drill and Duties Course and a three-month attachment to the Royal Horse Artillery under his belt, joined the 1st Regiment to serve as Battery Sergeant-Major (BSM) of B Battery. After three years in Europe, he returned to Petawawa’s 4th Regiment, Royal Canadian Horse Artillery where he became BSM of L Battery. In September 1963 he was promoted and appointed Regimental Sergeant-Major (RSM). After three busy years he again travelled West to join Manitoba District’s Instructional Staff, although he was soon attached to Canadian Forces Base Shilo. In January 1968 he returned to Eastern Ontario for employment at Canadian Forces Headquarters, Ottawa. His second appointment as RSM was made in November 1968, this time of the 1st Regiment, Royal Canadian Horse Artillery in Germany. He played a key role in guiding the unit’s conversion from light towed to medium self-propelled guns. His experience of some 25 years and of service on similar equipment during the World War II provided valuable insight to the employment of the 155mm M109. In September 1971 he was appointed RSM for an unprecedented third time, this time with the Canadian Airborne Regiment. He seemed to be everywhere, talking to soldiers, listening to their concerns, sharing risks and hardship, and setting an example. He accompanied the Regiment across Canada, into the Arctic, to the U.S. and Jamaica. He parachuted with the Regiment’s sub-units at every opportunity. In late 1973 he left the Canadian Airborne Regiment and assumed the duties of Artillery Chief Warrant Officer with the Director of Artillery at National Defence Headquarters. Chief Warrant Officer Vallee’s unique and significant contributions to The Royal Regiment, the Canadian Forces and to Canada were recognized in 1974 with his appointment as an Officer of the Order of Military Merit. He retired to pension on 30 December 1975 with 35 years service spanning two wars. Not content to end his service, he worked from 1978 to 1983 as Officer in Charge of CFB Petawawa’s Corps of Commissionaires detachment. His unwavering service to The Royal Regiment and concern for Canada’s soldiers remains a paragon for future generations. Chief Warrant Officer Vallee passed away in Ottawa in 2000. 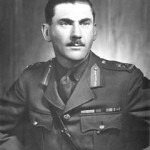 Major-General Alfred Ernest Walford was born in Montreal on 20 August 1896 and received his education at Westmount, Quebec. Initially employed as an accountant with the family firm, he later accepted a position as financial advisor and secretary-treasurer to the firm of James A. Ogilvie and Sons of Montreal. In September 1914, he enrolled in the local unit, the 58th Westmount Rifles and served as a signaller. One year later he enlisted in the 3rd Canadian Siege Battery of the Canadian Expeditionary Force and went overseas in December 1915. In June 1916 the battery, (often referred to as “Cape’s Battery” after it’s first commander), was in action at the Somme. Here, as a Corporal with the 12th Canadian Siege Battery, he was awarded the Military Medal for bravery in the field, subsequently gained promotion to Warrant Officer Class II and was commissioned. He continued to serve with the 12th until the Armistice. 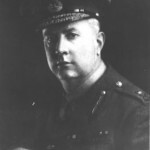 On return to Montreal he continued to serve in the Non-Permanent Active Militia as Battery Commander of 7th Medium Battery from 1927 until 1934. On promotion to Lieutenant Colonel, he commanded 2nd Medium Brigade until the outbreak of the Second World War. He was immediately appointed Deputy Assistant Adjutant General of 1st Canadian Infantry Division and in December 1939, he once again went overseas. While in the United Kingdom he served as Assistant Adjutant and Quartermaster General (AA & QMG) with the 1st Division and on promotion to Brigadier, in a similar capacity at Canadian Corps Headquarters. Later, when the First Canadian Army was in training preparing for the invasion of Europe, its commander selected Brigadier Walford for his headquarters staff; for his work in the Normandy campaign he was Mentioned-in-Dispatches. In the fall of 1944, he gained the rank of Major-General and was appointed Adjutant General. The fall of 1944 brought appointment as Commander of the Order of the British Empire and early the following year the award of the Legion of Merit by the United States. Prior to his retirement in early 1946, Major-General Walford was appointed to the Most Honourable Order of the Bath. Returning to the world of business, Major-General Walford headed Henry Morgan Company Limited of Montreal, a large conglomerate with interests in finance and real estate. In 1947, he accepted the appointment of Honorary Colonel of Headquarters 3rd Canadian Division. An active leader in his community, he held a number of positions: Governor of McMaster University, Treasurer of the Montreal Board of Trade and Commissioner of the Montreal Metropolitan Area Boy Scouts. He became the first Canadian President of the Federation of Commonwealth and British Chambers of Commerce. Major-General Walford died at age 94 in Montreal after a life of service to his country and to his Regiment. Major-General James “Cupid” Wilson was born in 1852 at Kingston, Ontario; after a short service as an Ensign with the 47th Battalion of Volunteer Infantry, he joined the Kingston Field Battery in 1871 and was attached to “A” Battery of the Permanent Force. He was one of the original officers of “A” Battery. In 1884, in the rank of Major, he volunteered for service in Egypt and subsequently was seconded to 1st Brigade, Royal Artillery for duty in the Sudan. His service as a combatant in this campaign earned him the distinction of being on the first of the Canadian Permanent Force to see overseas service. He acquitted himself well and was Mentioned-in-Dispatches and awarded the Khedive’s Star. In 1885, he was recalled from the Sudan for service with “A” Battery in the North West Rebellion. He was given the unenviable task of garrisoning Fort Otter at Batoche during the winter of 1885 just prior to the Battery’s return to Kingston. In July 1892 he led a strong detachment of gunners to Ile-aux-Coudres, in the St Lawrence, where he captured Captain Bouchard, the “Smuggler King”, along with a plentiful cache of contraband liquor. With the reorganization of the Regiment in 1893, the dismounted portions of “A” and “B” Batteries and the whole of “C” Battery were reformed into Number 1 and Number 2 Companies, Royal Canadian Garrison Artillery at Quebec; Brevet Lieutenant-Colonel Wilson was appointed to command Number 1 Company. By July 1897 he had risen to command the Royal School of Artillery at Quebec and concurrently held the appointment of Inspector of Artillery for Military Districts 5 to 9 inclusive and District 12. On 25 February 1898 he was promoted Lieutenant-Colonel and in December 1903 assumed the appointment of Inspector of Garrison Artillery. On 1 May 1903, Brevet Colonel Wilson became the first Canadian-born Colonel Commandant of The Royal Regiment of Canadian Artillery. One year later his career of distinguished service was recognized by his appointment as Honorary Aide-de-Camp to the Governor-General, Lord Earl Grey. On the opening of Camp Petawawa in 1907, Colonel Wilson became the first Camp Commandant. His quarters, a modest house on a small hill still bears the name “Cupid’s Nest”…the Colonel had quite a reputation as a lady’s man. On 15 November 1907 Colonel Wilson achieved another first. He became the first Canadian-born Major-General of the Permanent Force. This well deserved promotion and recognition was not without its irony however; the promotion message read, “Colonel J.F. Wilson, ADC, Colonel Commandant, RCA, having been found medically unfit for service is placed on the retired list and granted the honorary rank of Major-General on retirement”. Thus ended a 41-year career of service; a career that included a significant number of first and a long, distinguished service to The Guns. An Alberta native, Brigadier William Smith Ziegler was born in Calgary and received his early education there and at the Strathcona High School, Edmonton. He later attended the University of Alberta, graduating with a degree in Civil Engineering. Having enlisted in the 61st Field Battery of the Non-Permanent Active Militia in 1926 as a boy (in those days one would not be considered a Gunner before age 18) he earned his first chevron in 1928 and by 1931 was Battery Sergeant-Major. Commissioned the following year, he rose to the post of Adjutant 20th Field Brigade by 1938. In 1939, while still attending university, he was mobilized with the 1st Canadian Division and in January 1940 went overseas. He served as Battery Captain 61st Field Battery and later in the same position with “X” Super Heavy Battery. Selected because of his considerable experience, he soon was returned to Canada to become the first Brigade Major Royal Artillery of the 3rd Canadian Infantry Division. He shortly found himself enroute to the United Kingdom once again, this time to attend the Camberley Staff College. On completion he was appointed to the staff of the First Canadian Army as General Staff Officer (Grade 1), Royal Artillery. In May 1943 he was given command of the 13th Field Regiment. During his tenure as Commanding Officer the Canadian Artillery and his unit worked hard at mastering the intricacies of the handling and use of massed artillery. From October 1943 until February 1944 he served as “Colonel GS Staff Duties and Training” at Canadian Military Headquarters in London. Early in 1944 he left the regiment and was promoted Brigadier to fill the appointment of Commander, Royal Artillery in 1st Canadian Infantry Division, then on Italy’s Ortona Winter Line. By the end of April the Canadian guns were out of action and ready to assume the spring offensive. Ahead of them on the road to Rome lay the Liri Valley with its three fortified defence lines: The Gustav Line anchored on Monte Casino, the Hitler Line hinged at Mount Cairo and the Caesar Line some thirty kilometres South-East of Rome. Brigadier Ziegler’s skilful use of artillery and his masterful fire plans throughout the Liri Valley operations contributed significantly to the success of the advance to Rome and resulted in his appointment to the Distinguished Service Order. At the end of operations in Italy in early 1945, the Brigadier accompanied his gunners to North-West Europe and a role in the final defeat of the Third Reich. His dedication and good work was recognized in September 1945 with his appointment to the Most Excellent Order of the British Empire in the grade of Commander. At the end of hostilities Brigadier Ziegler served with the British Foreign Office (German Section). He was Deputy Commander Hannover Region with the Control Commission for Germany and later, until 1950, served as the Regional Administration Officer, Land in Niedersachsen. Leaving the army in 1950, he joined the Canadian National Railway where he served in a number of senior positions across Canada until 1956. He then joined Inland Cement Industries and worked in a number of senior management positions until his retirement in 1971. Active in a wide variety of community related activities, he served as an advisor to the University of Alberta School of Commerce, as Governor of the Arctic Institute of North America, as Director of the Alberta Chamber of Resources, on the Advisory Board of the Salvation Army and as a member of the Alberta and Northwest Territories Council, the Duke of Edinburgh Award in Canada. Brigadier Ziegler’s contributions to the Royal Regiment and to Canada in both peace and war will inspire future generations of Canadian Gunners to the service of Canada. He passed away in Edmonton in 1999.